Thanks Calgary Disc Club for a fun nosework match this weekend! 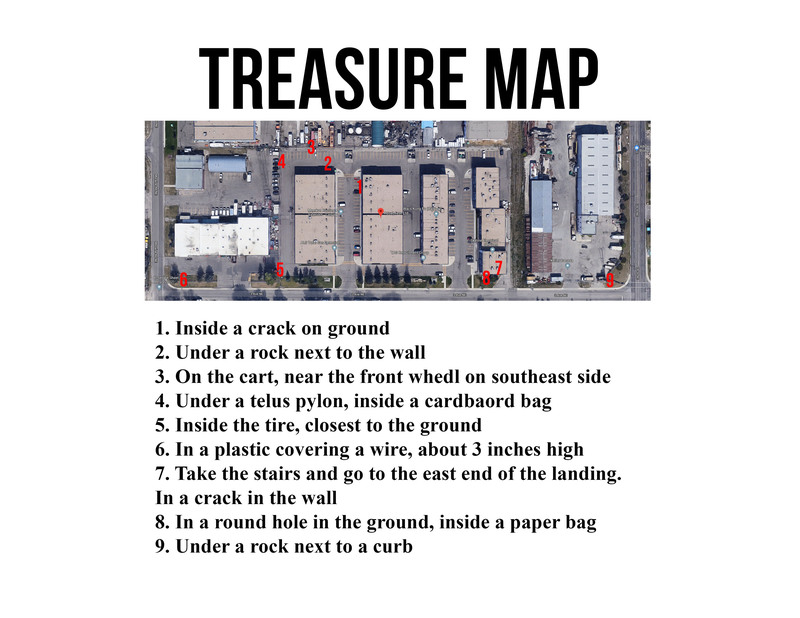 The updated Treasure Map is attached FYI. You’re welcome to sniff out the hidden jewels until May 6 when I collect them. Congratulations Calgary Disc Club for putting on such an amazing nosework event! Thank you for inviting me to judge, volunteering, participating and for some fantastic searches. Marion Paulson, Shelley Harris, Joe Richardson, Pat Richardson, Dawn Wallace, and all the organizers, you make nosework especially rewarding! Can’t wait till your next scent detection event. Congratulations to all of our students and teams with successful searches at the nosework match this weekend. It was hot, searches were challenging (think flags flapping in the wind and searching see through stairway outdoors), and yet you built your teamwork with every search. We love our commemorative bling. Special thanks to the artists, Sonia Smith. Ready to find some treasure? I’m looking forward to judging the sold out nosework match with Joe Richardson this Saturday for Calgary Disc Club. In addition to the formal searches, scented loot will be around the venue: find it and exchange for special prizes, including cooling bed.